At Lincoln Ave Auto we are your Volvo Dealer Alternative for all of your repair and service needs. All Factory scheduled maintenance and service are performed as per Factory Specifications and at great savings over Dealer's costs. That's right, for Volvo Repair and Service, we can save you 20%-30% throughout the year on all of your Volvo Service And Repair Needs! Volvo is an incredibly high standard vehicle that is an ideal illustration of Swedish automobile engineering. Every automobile of the brand is known for its life expectancy that is approx. 250,000 miles. However, to keep your car running smooth and in good running condition, proper maintenance is required. 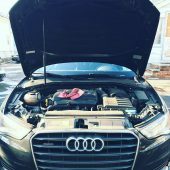 If you are among those looking for professional service for your Volvo automobile, Lincoln Ave Auto is the one stop shop for you. At Lincoln Ave Auto we can take care of any type of service for your Volvo vehicle and can resolve any issue in a proficient manner. In addition, we provide scheduled maintenance and service of your vehicle that is required in order to avoid large future repairs. 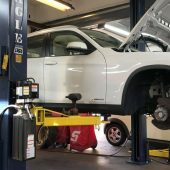 We are among the most professional auto service providers in Bergen County, NJ and offer the best maintenance, repair and service of all Volvo makes and models. Providing quality service on time is our priority. As we focus on Volvo, we know all the basics of your vehicle and during repairs and maintenance we use only genuine and certified parts and tools. With our professional Volvo Repair Franklin Lakes service, we concentrate on quality service and the use up-to-date diagnostic equipment. Our skilled ASE certified mechanics use the latest automotive technology to handle all minor and major repairs for Volvo. 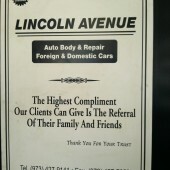 At Lincoln Ave Auto, we take special care of our customer’s vehicles, as we know it is a major investment so we care for it like it’s our own. 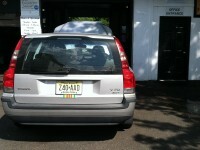 At Lincoln Ave Auto Volvo Repair Fairlawn, we use the best Volvo factory parts in all of our Volvo automobile repairs. We value your time and money and always take repair and maintenance seriously. After the servicing is done, our technicians test all vehicles for accuracy and quality. We also provide the best services in Volvo Repair Wycoff at reasonable rates. We ensure that we will make your vehicle servicing experience a pleasant one. Our success is the result of the devotion and loyalty of our repeat customers because of the work of our professional technicians. With our efficient service of Volvo Repair Paramus, we always use parts that come with a guarantee. 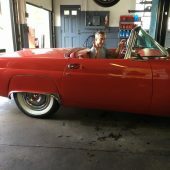 With many years of serving in the automobile industry, we at Lincoln Ave Auto repair every vehicle with personalized attention to give you the best results.